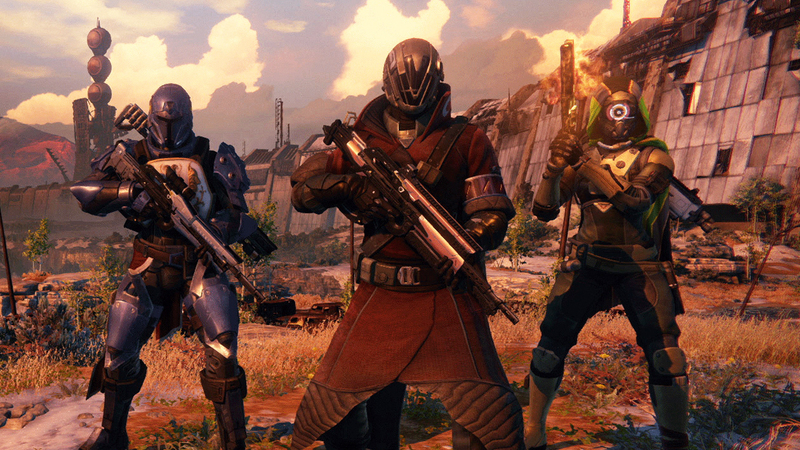 New Breed Games, LLC - A New Breed Of Video Game Development - Destiny Cost $500 Million?! So if “Destiny” cost $500 million to produce, and I am not the uncle of a monkey, then the video game industry is in serious, serious trouble. There are only three possible scenarios I can fathom that would, in any way, shape, or form require that rudimentary joke of a game to cost $500 million. 1) They paid a team of 500 people (that is all they needed, trust me) $1 million each. 2) They needed a lot of server space, though that would push maybe $50 million at most. 3) The CEOs and Producers of the game took $300 million for themselves. Either way, it is an indicator of what the video game industry has become: a corrupt, provisionally-redundant joke, and not even a very funny one. When it takes half a billion dollars to produce a game with that small of a repertoire, then we have entered Stage Two of a vicious cycle. Stage one was its beginnings: games like “Zelda”, where the industry was just beginning to show its true strides as something formidable, something worth investing in. Stage two is the present: over-financed crap that, though graphically impressive and fun to play, are still nothing worth $500 million in costs and expenses. Stage three is where the fun begins: recession. The movie industry went through this during the 1990s, when independent movies such as “The Blair Witch Project” were shuffling their feet along the multibillion dollar film industry. When “Titanic” released, it is understandable how that would have cost $200 million, but when a video game costs over twice that amount, it is speculative that the industry is heading down a dark and dangerous path. As a developer, I must say that the levels, the 3D models, the animations, the graphical relevance, and even the concept of programming were, in no way, worth $500 million. That leads one to believe that either the producers were socking away as much as they could simply because they knew they were able to, or that XBOX and PlayStation were charging 1/3 of that $500 million on licensing fees just so Bungie could release via console, which is by designation the “most popular” way to play a video game (and even God doesn’t know why). That leads one to wonder where the independent video game market stands now. When you cannot get an independent game such as the wonderful “XCOM: Enemy Unknown” onto consoles simply because they could not afford the fees put forth and remains a semi-high selling PC game and PC only, then we are headed into a world where video games are only produced, financed, and sold on a foundation of how much dough the producers of said video games can raise. Now, keep in mind, it does not take that much to make a video game. It may seem like it would cost $500 million, and yes, it is plausible that the game truly required a lot of hard effort by a team of upward of 1,000 people. However, this does not change the fact that it is simply a more advanced version of “Halo”. And to think they could only afford one “metropolitan” where you can meet with others and form “Fireteams” (a rudiment idea, by the way), chat, trade, and so on is beyond me. Oh, that reminds me: you cannot trade gear. You see, they did something new, but if you actually pay attention to the storyline, you will find blatancy. Halfway through, I still do not understand what the Hell is even going on. I have a talking robot and a lot of guns, and a character that is only distinctive from the other two “races” because instead of throwing a magic beam of energy, I throw a blue knife. It almost looks as if they half-assed the entire game, right down to the multiplayer (the “Crucible”), which is fun, but nothing new, nothing special, nothing unique…and that seems to be the problem at hand with this generation of gamers. People these days just want to run around and shoot each other. What ever happened to strategy? Trying to be quiet so you could sneak up on your enemy and slit their throat from behind? And if my character is truly a “guardian of light”, why can I only carry three guns at a time? And why do I have to access an Inventory menu to change weapons, which just blocks your view of what is going on around me. Yes, they forgot to freeze the game when you access the Menu, meaning while you are switching weapons, an alien (I do not actually know what I am at war with…are they aliens? Am I an alien? ), or another player (usually in the form of some fourteen-year-old in his toy room) is able to shoot at you. They could not have at least minimized the screen? Though I am sure the trick is: only change weapons when you are in a safe place, the point still stands that this game did nothing new except add an MMO feel to “Halo”, though at least “Halo” made sense. I am not bantering on about the game itself; that is not the issue at hand here. The issue, my friends, is that history repeats itself, time and time again. If the video game industry continues to zoom forward at lightning speed but without the indie market (by far the most fascinating) standing a chance, then we are doing nothing but monopolizing what we love. Sure, play the game, and enjoy it. But realize that this is the “Avatar” of video games (no that is not a good thing). You see, when “Avatar” released featuring 3D glasses as a customary feature, the film industry was subjected to replace creativity with mindlessness, consisting of cost-efficient and equally lucrative animated films and cartoonish, low-budget money guzzlers. Just take a look at the market to date. Most movies are animated, CGI, or cartoons (or all three, which I had no idea was possible), and they all require 3D glasses. Do you know how much it costs to make a 3D glass set? Somewhere around $5.00, yet you will pay the $20 fee because you are being tricked by a business. And is 3D ever more exciting? According to Oswald Spengler and Arnold Toynbee, history repeats itself, from the Aztecs to the Mayans, to the Roman Empire, and so on. Three periods or stages take place during the evolution of a culture or society: 1) growth, 2) climax, and 3) decline. The entertainment industries are no different. Think back to Nintendo 64 or even beyond that; video games were just becoming popular as household items in the early 1990s. The film industry had already gone through this period, which precedes Stage One. By the time that “The Blair Witch Project” made it onto theater screens, it suddenly became clear that the independent filmmaking community was more capable of magic than once thought, and soon major studios were no longer the sole owners of distribution channels. By the mid-1990s – thanks to Sundance and other sources of indie distribution – we entered the phase of growth. I will explain how we got to climax and our eventual decline in a moment. 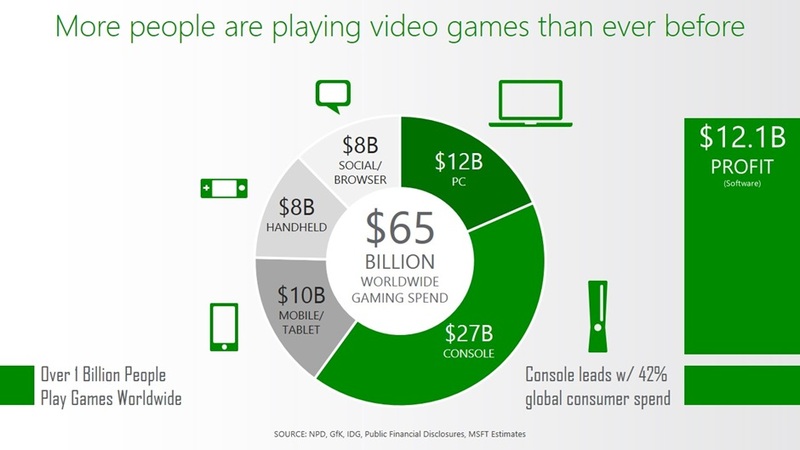 Now think back to when video games were becoming household assets. That preceded growth, and was the establishing of the industry’s eventual climb into growth, which occurred when two programmers created a multiplayer version of the ever-famous “Half-Life” (you may know the game as “Counter-Strike”), which they released for free and distributed themselves. Decline will hit. It happened to the film industry (note that recession does not necessarily imply loss of income; it can simply mean that the industry is on its way down, and eventually they will run out of ways to make animated characters look so damned cute and their stories will become as useless as those in “Destiny”). It is going to happen to the video game industry, as well, because once you have hit climax, the industry will begin to push for better games; it wants more. But now that we have reached this crescendo, where $500 million creates a subpar game, we may as well indulge ourselves in the thought that, perhaps the CEOs and Producers of these companies are not basing their budget on fact but fiction; they know they are a worthy development studio, and they know they can ask for $500 mill, so why not? What it is spent on is beyond me. So what is to become of the indie market? It will falter, and the console market will plummet, as well. 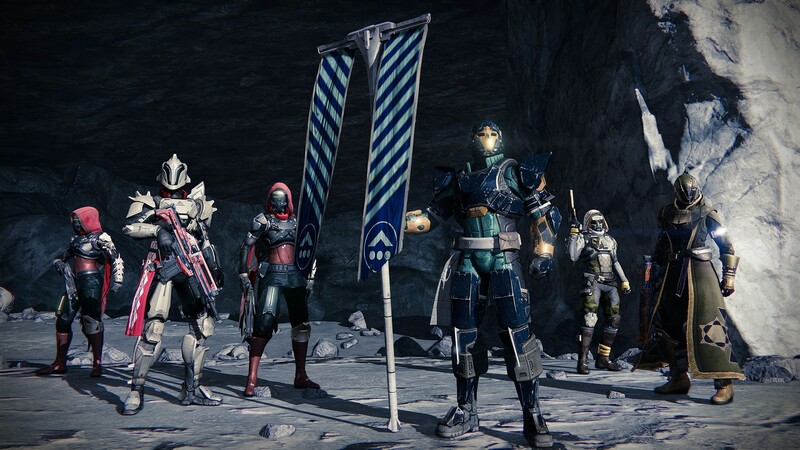 It is already on its way, with statistics pointing out that MMOs (unfortunately, that includes “Destiny”) are on the rise, and console games are dwindling down. What next? I can only predict. First, the market will panic; suddenly we have the almighty “Destiny” to compete with. So more money will be spent; more of the same games targeting the same demographic of players (which, believe it or not, is relatively small), until before long the budget breakeven point is not met via income. All the while, indie developers are struggling to bring actual innovation to life, but because so much money is being dispersed to the studios that “matter”, they will also falter. Soon, we will have nothing but over-bloated budgets and indie developers resorting to crowdfunding campaigns that don’t work. What if we could take that $500 million and put $1 million into 500 independently-funded games? Why spent $500 million on one experience when you can most assuredly quadruple the income potential of the independent market? If we do not start believing in the underdog, we are destined for failure, and as I said: history repeats itself. 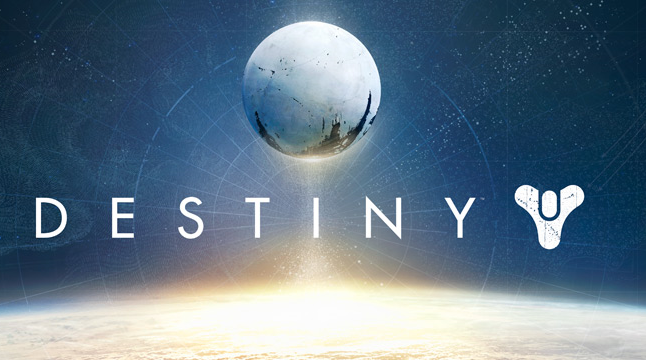 As for “Destiny”, it will remain a class favorite for a year or so, then vanish. The next will come, but I can promise you this: you will be unimpressed with the next concoction, and even more unimpressed by the next, and soon both the mainstream and indie markets have fallen. 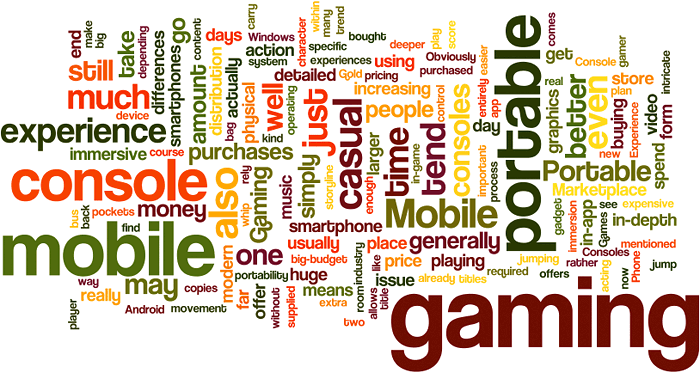 Studios will vanish, and the video gaming industry will fall into decline, recession, and digression.